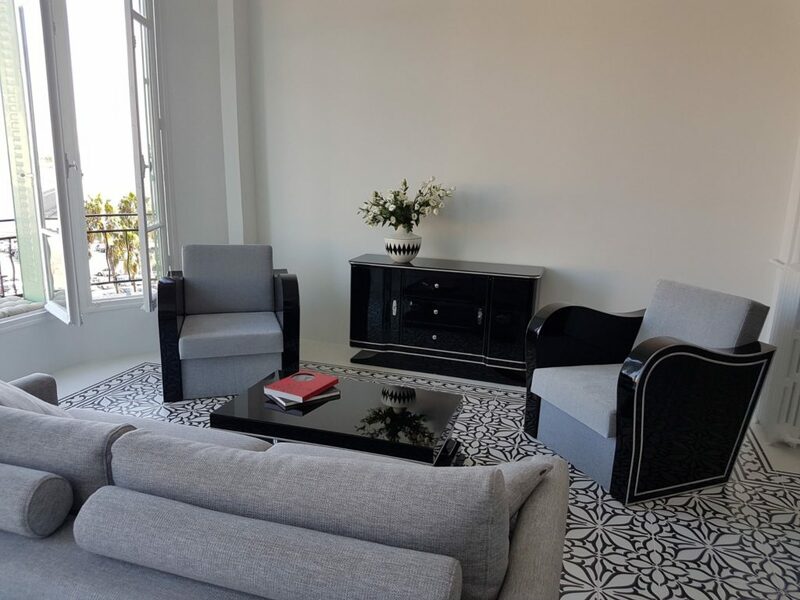 One of our customers chose multiple original antique items from our inventory to fill his new living room in Nice, France. 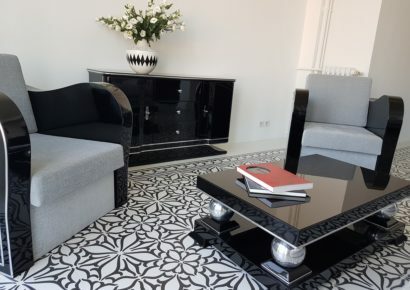 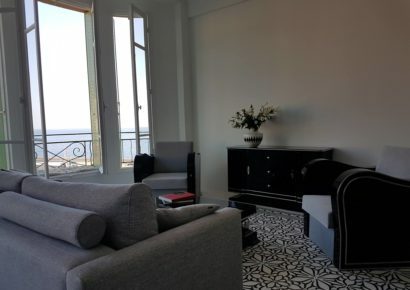 After purchasing an elegant Art Deco console table for his home in Germany – and convincing himself of the perfect quality – a trip to Nice was schedulded for us. 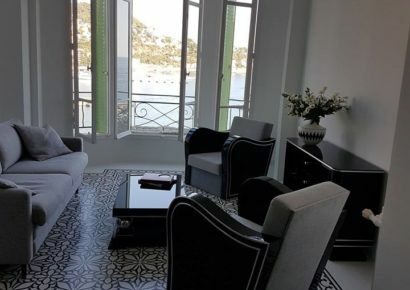 Here some beautiful impressions from the vacation apartment – including ocean view – we definitly love it! 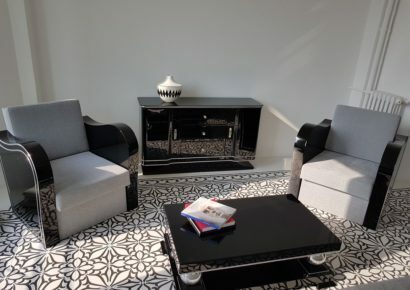 The two Art Deco armchairs, the wonderful couch table and the elegant sideboard were just the beginning for his new home.